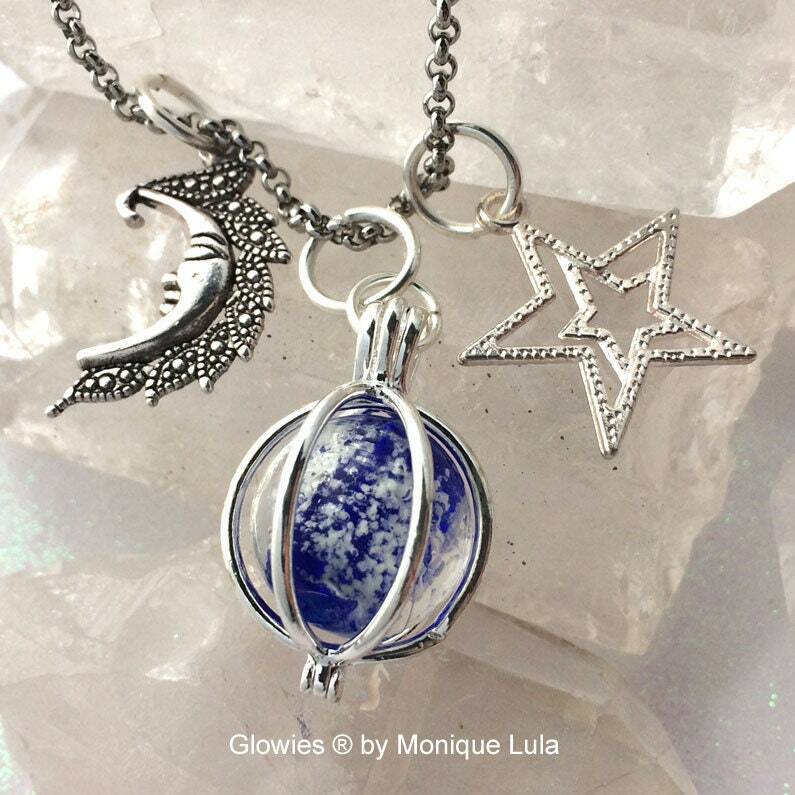 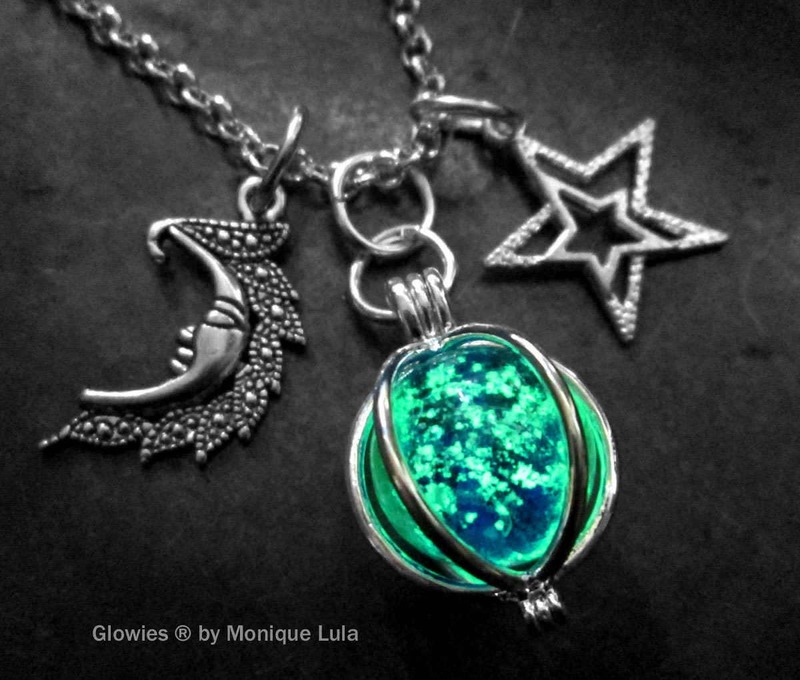 Moon and Stars inspired glowing orb necklace handmade by Monique Lula the original glow lockets ® selling on etsy since 2008! 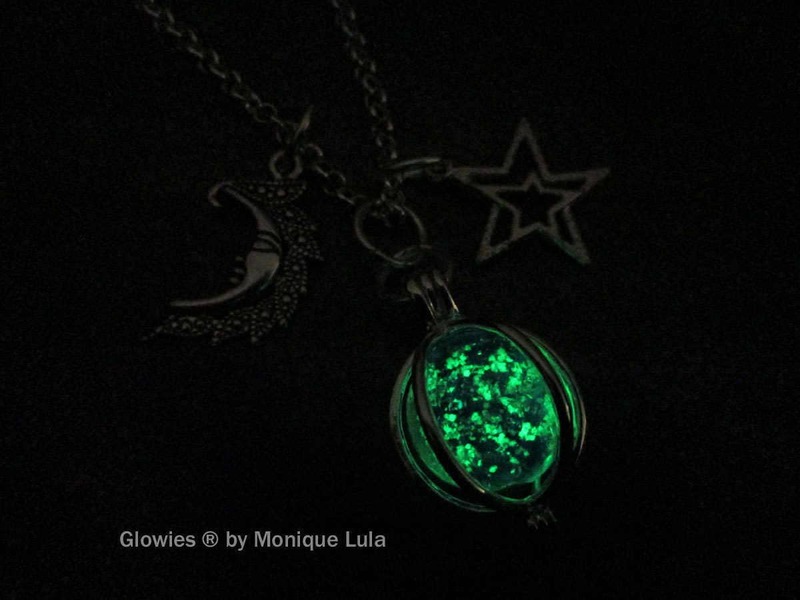 Made with awesome starry night inspired galaxy glow glass! 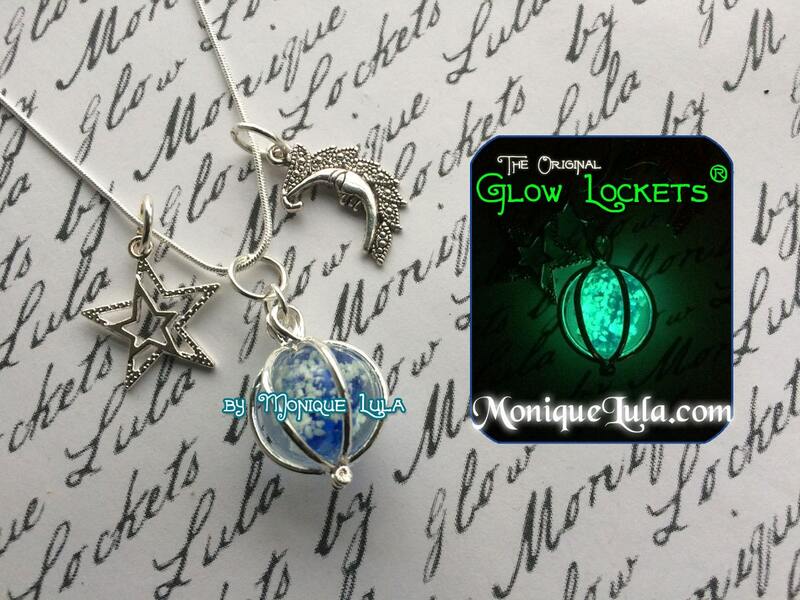 Comes on 20 inch chain. 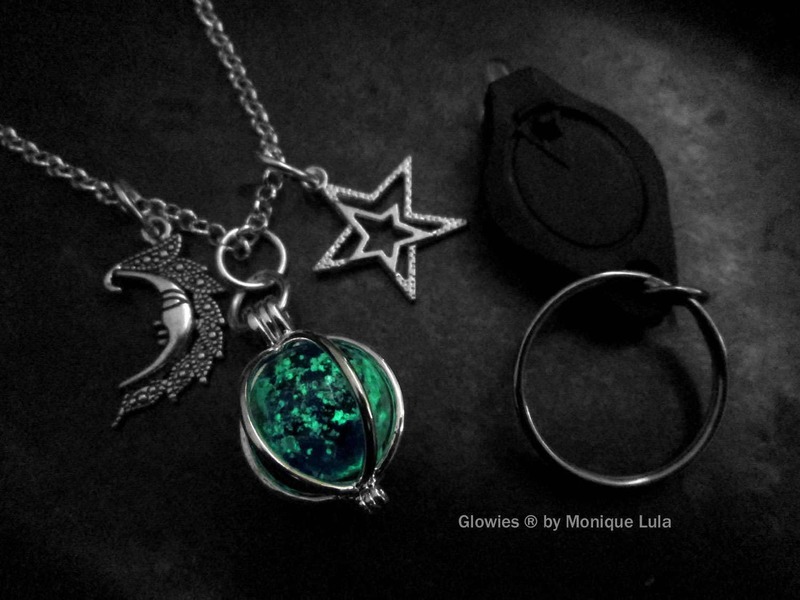 Charms can slide on or off and be worn with any necklace. 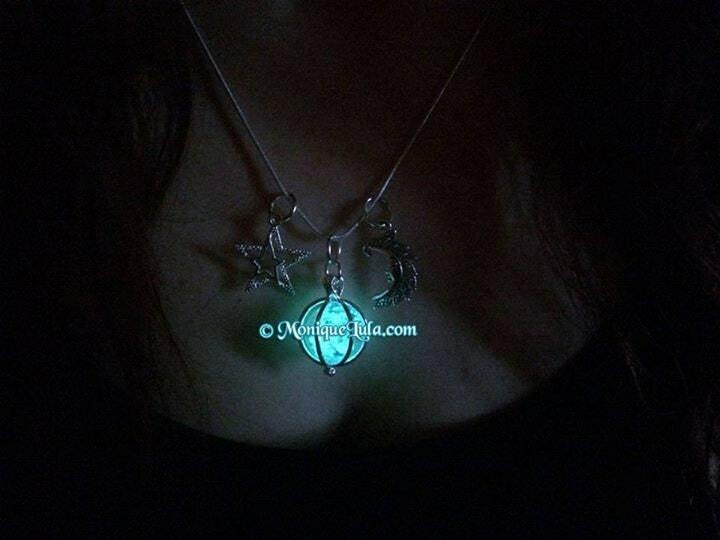 Comes on elegant and shiny silver plated chain.